It’s a breezy, clear, mid-August morning at the Snake River in east central Minnesota. An old silver maple creeks in the wind and a pileated woodpecker’s call rings through the woods. Trees, thickets and river grasses show lush shades of green. I am so glad to see no hint of autumn in them yet. But, other plants tell a different story. 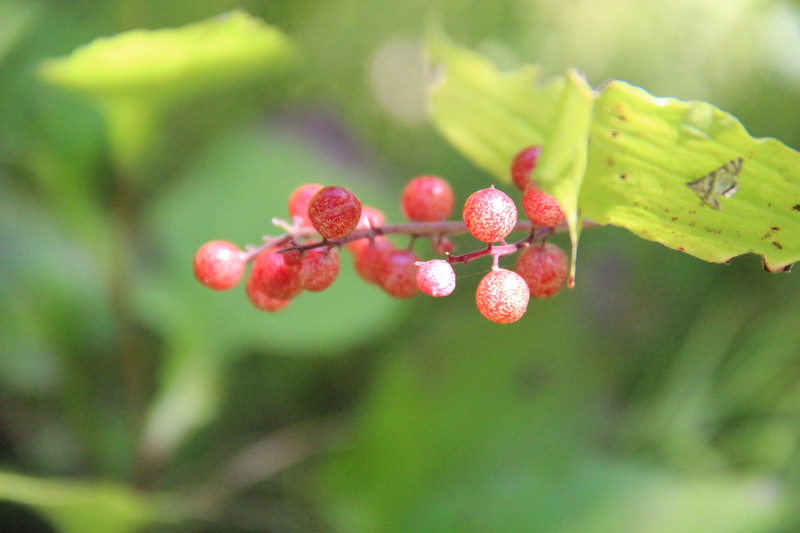 The berries of false Solomon’s seal grow red, chokecherries and currants ripen to purple, and hawthorne fruit and wild rose hips begin to blush. Hickory and hazelnuts are plump and the fragrant basswood flowers of a few weeks ago are now little round nutlets. Flowers are changing too. Turk’s-cap lilies, meadow rue and vetches have been replaced by woodland sunflowers and lesser purple fringed orchids. 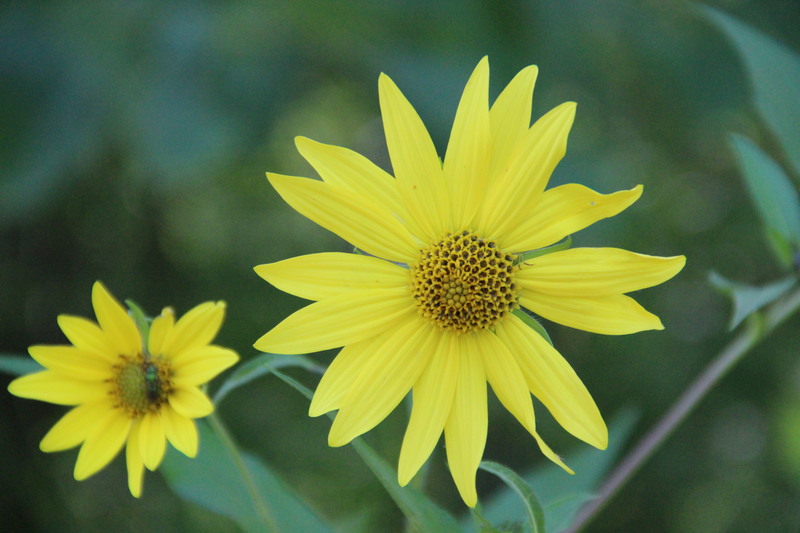 The first goldenrod buds are turning yellow, and harebells and heal-all continue to bloom. The woods are much quieter than in July. Most birds have finished breeding and their babies have grown, putting an end to the feeding frenzy. I miss the morning and evening chorus — especially the ethereal vespers sung by the wood thrushes. Fortunately, the last few mornings, a family of five blue jays visited our hazelnut thicket. They call softly to each other as they pluck the nuts, hold them against a tree branch and peck open the husk. These jays are more elusive than the jays in our city yard. They retreat deeper into the woods when I sit outside and try to photograph them. In the late afternoon, a lone cicada buzzes. Grasshoppers and crickets trill softly and are joined by snowy crickets and katydids in the evening. Their night music, though simpler than birdsong, complements the burble of river water over rocks and gently soothes as darkness falls. 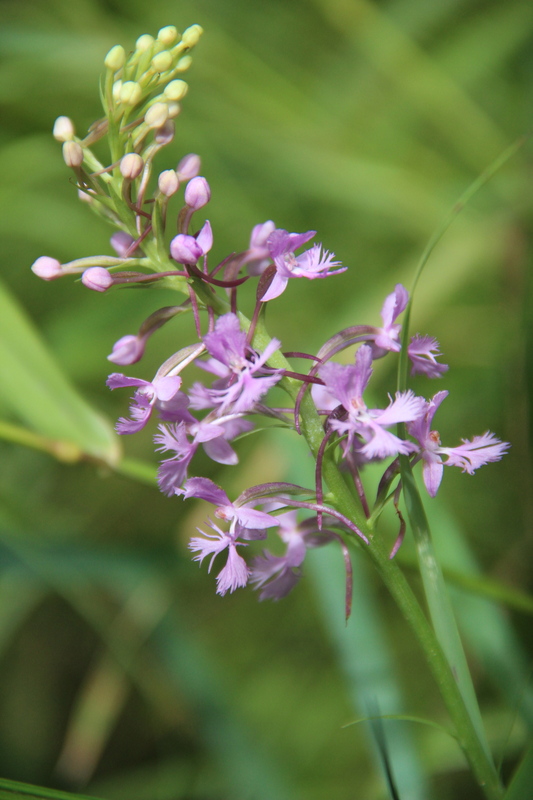 This entry was posted in Birds, Insects, Snake River, MN, Wildflowers and tagged blue jays, false Solomon's seal, lesser purple fringed orchid, Snake River Minnesota, woodland sunflower. Bookmark the permalink.